Gold-colored metal buttons have a raised motif of an eagle sitting on an anchor with 13 stars around outer edge. 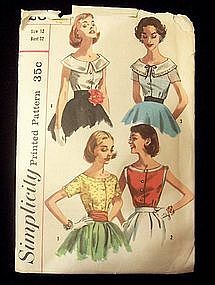 Seven buttons measure 1 1/8" in diameter with two measuring 3/4". Dark gold metal back has metal shank. Used. 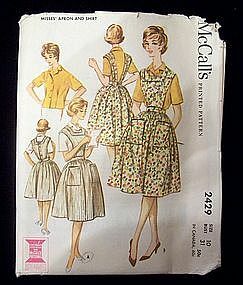 First class postage is included in price. If other type of shipping is desired, please email with preference and zip code. J & P Coats & Clark's Book No. 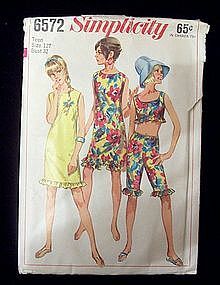 271 (The Spool Company). First Edition 1951. 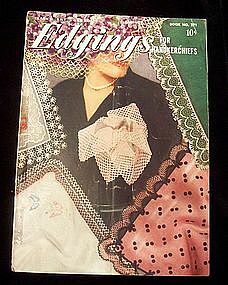 'Edgings for Handkerchiefs' Fifteen-page, 10 1/2" x 7 1/2" paperback booklet full of instructions and photos of many different crocheted and hairpin lace edgings. 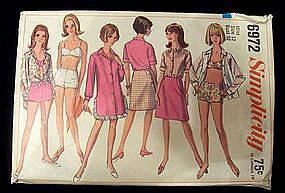 J & P Coats & Clark's Instruction Book No. 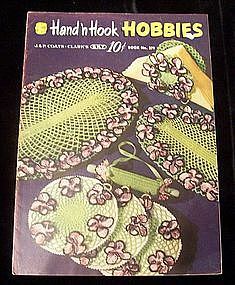 279 entitled 'Hand 'n Hook HOBBIES'. 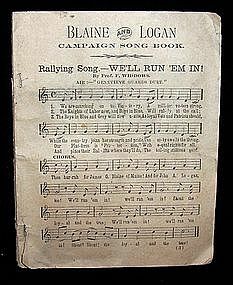 First Edition, 1951 by The Spool Cotton Company. 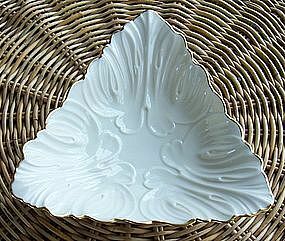 This 7" triangular-shaped candy dish or tray has leaves sculpted in ivory china and edged in 24 kt. gold. 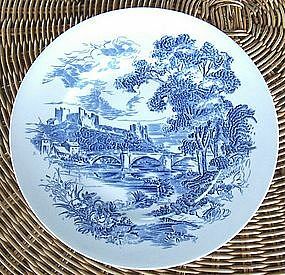 Made by Lenox between 1979 and 1989 in their Triad Giftware Collection, it lists at www.replacements.com for $23.99. Bottom has the Lenox label printed in gold. 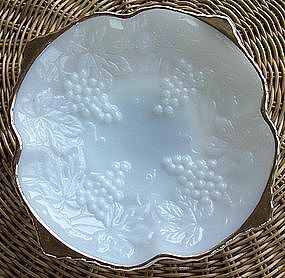 It is partially covered by a stick-on label that reads: "Hand Decorated With 24 K Gold"
Shallow, footed milk glass bowl by Anchor Hocking measures 10" in diameter and about 2" high and has clusters of grapes and leaves sculpted on inside. 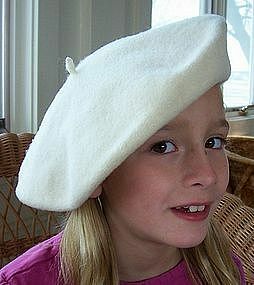 Scalloped edges are painted gold. In very good condition. Weight is 2 lb. Use USPS link on my homepage to calculate priority mail postage from zip code 43570 to your zip code. . If other form of shipping of desired, please email with preference and zip code. 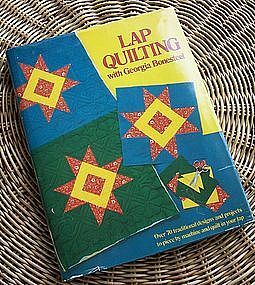 This 122-page, hard-cover by Georgia Bonesteel was printed in 1983 and has over 70 traditional designs and projects to piece by machine and quilt in your lap. 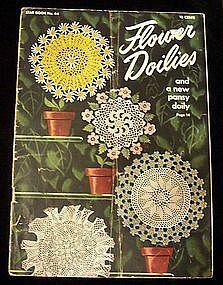 It contains black and white drawings of patterns and color photos of finished projects. Book is in very good condition and dustjacket has only a few rubs and bumped corners. Media mail postage is $2.81. If other form of shipping is desired, please email with preference and zip code. 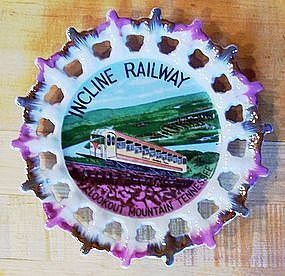 Seven-inch plate has cutout border painted in purple and gold and decal print of the Incline Railway, Lookout Mountain, Tennessee. Back has two holes in bottom rim for hanging cord. 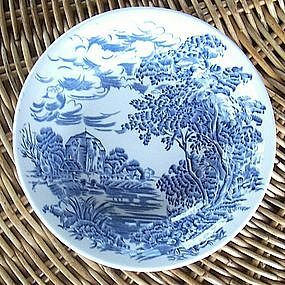 In good condition with no chips or cracks. Weight is 1 lb. Use USPS link on my home page to calculate priority mail postage from zip code 43570 to your zip code. If other form of shipping is desired, please email with preference and zip code. 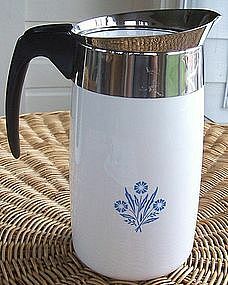 This carafe (pot only) is for the 10-cup electric percolator by Corning in the traditional Cornflower Blue pattern. 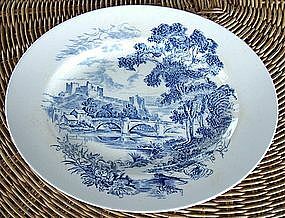 In very good condition but has some minor scratching on metal ring - see photo. Weight is 3 lbs. 4 oz. Use USPS link on my home page to calculate priority mail postage from zip code 43570 to your zip code. If other form of shipping is desired, please email with preference and zip code.